Are you at a midpoint in your life where you are acutely conscious that you are only getting older, and that somehow you have blown it all? Do you regret all the years you have wasted that you could have put to better use? Are you where you were supposed to be at your current age, given, not only your parents’ expectations of you, but your own? We all have a tendency to beat up on ourselves, not only for what we could change, such as losing 10 or 20 pounds, but even for what we can’t change, such as getting older. Many of us live in a society that is very other-directed, where we look up to glamorous people and dream that we could really amount to something. Somehow, it is hard to reconcile ourselves to the fact that we are NOT rich, famous, accomplished, beloved by all and truly happy. The breakthrough lies in the realization that, although I am the author of my own life, the story is not really about me, but about something much bigger. I play a vital role in the great drama of humanity, and no one and nothing would be quite the same without me. I am indispensable to the role I am playing. Someone had to fill that role, and I have been chosen by Central Casting. Have you ever tried to first accepting yourself just as You Are? Not in the past or the future, but now. The first step in any transformation is to come in peace with what is… or the way things are right now. It is also very possible, despite all of our preconceived notions, that you and I are perfect, just as we are, despite all the twists and turns of the plot, and life’s inevitable reversals. It is about the total effect, especially around the climax, which climate change suggests is somewhere about NOW. If you hadn’t blown it at times, and won small or big at other times, life would be very boring, without any contrast. Each time you blow it makes your past and future wins even sweeter. We only learn, only progress, by making mistakes. Learning and awakening take a lifetime. The thought that you are too old, and that it is all so useless is absurd! It is never over until it’s over. You have a purpose in still being here. If you read the newspaper headlines, it is all too apparent that plenty of people are left who can still use your help. There are more than enough problems for humanity to solve. You are very much needed to contribute in your own, unique way. More importantly, this prolonged dream that we muddle through is really all about remembering Who we really are, waking up more and more each day to our own divinity. Yes, we are all too human, but we are also ineradicably divine. We are being driven to recognize little by little that we are not just a piece in the puzzle. We are all of it. 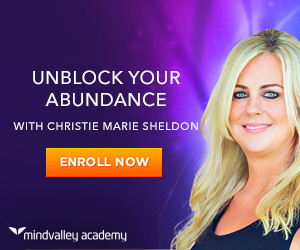 As you shift the focus of your attention off you, your story, your predicaments and your constraints, onto others, and their problems and their challenges, you begin to find inner peace (more on this topic click here). Question your inner critic. Most often it is a voice from the past long gone. He or she may have wished well for you at the time, but things have changed, and you have definitely grown up. Stop your monkey mind, if even for a moment. Take some deep breaths, close your eyes and listen to what is happening all around you. Let the mental chatter flow through your inner sky like Cirrus clouds. No need to entertain it. Shift your focus from self-pity to... Ask your deepest self, “What is my role this time around and who can I serve?” When you invoke the Sacred Presence, it will always come. Trust the voice of love, the one that cherishes you just as you are. Do a little something for someone today. It may be a thank you, a smile, a compliment, even plucking a wild daisy to offer. Restore great experiences! Remember an accomplishment in the past, it might be something so trivial as a Perfect Spelling Award in Fifth Grade. You are nowhere near as messed up as you pretend to be! Tune into that peace within and you’ll notice a total shift in your daily experience and appearance.